Sounds rather imposing, doesn’t it? One could spend years studying all the ideas in the field of garden or landscape design. 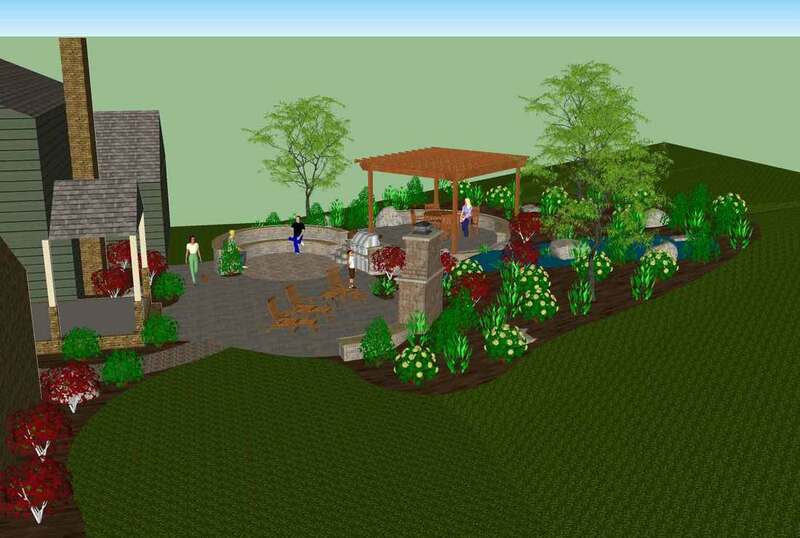 That is exactly what our designers at Tussey Landscaping have done. We take great pride in our landscapes which drives us to be industry leaders in creativity and installation methods. Do you need to spruce up the landscape design of a house that you are about to sell or simply want to enjoy exquisite outdoor beauty in the privacy of your own Johnstown backyard? Contact us and one of our designers would love to give you a straightforward, no-nonsense look at the ideas we have to offer for the Johnstown Pennsylvania area Homeowners. There are many different styles of landscaping. Some styles are very ‘Formal’ and others are ‘Informal”. Formal designs place a heavy emphasis on the structure of the landscape being very symmetrical while informal designs are much more flowing and curvilinear. The informal style of landscape lends itself to the natural looking ponds and streams that we install. These elements blend together to give you a natural yet manicured look to your Johnstown landscape. Most of the design work we are requested to do is the Informal style, and is the favorite our designers and crews. Our designers and crew members enjoy to spend time outdoors and the informal (Natural) looking landscape gives them the opportunity to showcase their eye for natural beauty.